It is the most precious gift from the beehive and therein lies the secret to longevity. Added to the mix, Royal jelly increases immunity, acts as an antioxidant, destroying free radicals, increases energy of the organism, increases the reproductive health in men and women, including female and male libido. Royal jelly’s uniqueness is due to the unsaturated fatty acid 10 HAD (10-hydroxy-2-decenoic acid), found only in royal jelly. 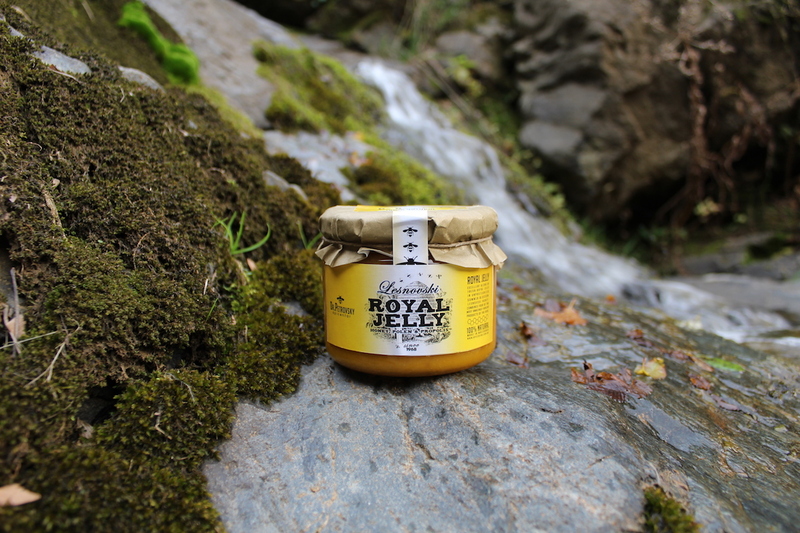 The quality of the royal jelly depends on the amount of 10 HAD (10-hydroxy-2-decenoic acid). 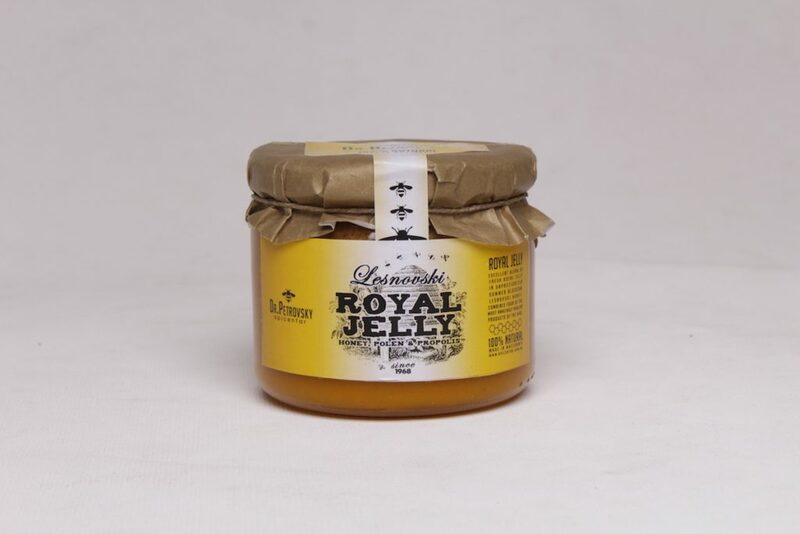 Royal jelly contains a mixture of fresh royal jelly. Fresh propolis extracted from the beehive undergoes a complex process in order to be used as a supplement in the ROYAL JELLY mix. Propolis is added for its antiviral properties and also to increase the immunity of the organism. Researchers have discovered that propolis, according to its properties is clean antibiotic, which unlike the other chemical products is non-resistance building and does not cause harmful effects in the body. Bee pollen is a potential source of nutrients, proteins, carbohydrates, minerals, vitamins and amino acids. 100% natural bioenergy for regeneration and revitalization of the organism, it includes an ideal combination of vitamins (A, B, C, E, D), 27 minerals (potassium, calcium, manganese, iron, …) proteins with all amino acids and enzymes, proving the healing powers of this gift of nature. It decreases fatigue, stress and depression. It improves the circulation and rejuvenates the body after a history of infections. Thanks to the concentration of rutin (antioxidant) it protects the blood vessels, positively affects the intestinal flora and is a natural remedy against arteriosclerosis. It improves the blood composition, increases brain activity and improves the quality of the skin by refreshing and regenerating it. It originates from the pure ecological regions of Osogovo Mountains, nearby the famous Monastery of Lesnovo. It includes nectar from a number of different herbs, it has a wonderful taste and wide range of vitamins and minerals. Thus, Lesnovo honey is the fourth element added to the ROYAL JELLY mix. There is special synergy between these four components of the beehive.